The following short extracts are from A brief history of Waterlow Park, ‘a garden for the gardenless’ with thanks to Pam Cooper. After Highgate was ‘discovered’ in the 16th century the rich, the famous and the infamous started to arrive. Many of them built homes, with fine gardens, some in what is today Waterlow Park. They were attracted by the clean air and views over London. The plentiful water supply was another factor. Waterlow Park’s three historic ponds are still fed by natural springs. Lauderdale House, which remains within the Park, was the home of the notorious Earl (later Duke) of Lauderdale in the 17th century. It appears certain that King Charles II stayed at the house, which bears out the long-standing colourful tradition of his mistress, Nell Gwyn, residing there. The house dates from the 16th century. So too does the garden, which is of interest to garden historians, being a very early example in Britain of a terraced garden. 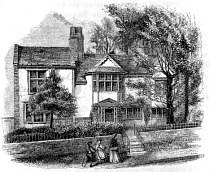 The house called simply Andrew Marvell’s, where the poet is thought to have lived in the 17th century, was also once within the Park. One of Marvell’s verses, recorded on a bronze plaque in the Park, reminds us of this much-loved poet. Elsewhere in the Park was the home of Sir James Pennethorne. Having lived there for 20 years, this prolific architect and park designer has, unsurprisingly, left his mark on Waterlow Park. From 1856 Sydney Waterlow had also been living in a house within the Park at that time. He soon acquired the neighbouring properties, such as those above, to create his own mini-estate. Lauderdale House was let out, for a while as a convalescent home. 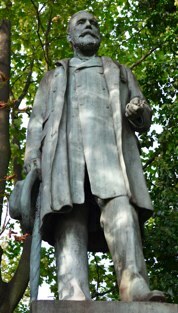 Sydney Waterlow did not stay long at his Highgate estate. It remained empty and deteriorating for some time until he made his momentous decision to present it to the London County Council as a public park and ‘a garden for the gardenless’. This act of great generosity took place in 1889, after he had failed to find a buyer. In converting the estate into a public park the Council was careful to keep most of the historic features, as it was considered a jewel. Waterlow Park played its part during the First and Second World Wars. Shelters are still buried underground. Despite shortages after the Second World War park-maintenance remained high. By the end of the 20th century, however, the park was in serious decline. Camden Council, backed by the Friends of Waterlow Park, bid successfully for Heritage Lottery funding to restore the park. The programme of works, though fraught with difficulties, was eventually completed, restoring the crumbling infrastructure and creating new facilities. 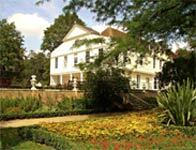 Returned to its former glory, Waterlow Park re-opened in June 2005.